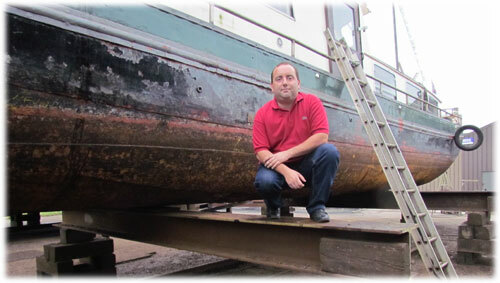 20th June 2014 – It is not my intention to keep my website up-to-date with what other people do to my ships I have owned or worked on. I like to follow these ships in the background. I had the chance and honor to sail the Hornblower to the yard on the 7th June 2014. A few days later, she was dry docked. A week later, the new owners called me telling the yard costs are to expensive and they will scrap the boat. I went to the yard and had a look. It is sad to see her in a condition I shall not further describe…. I will remember the Hornblower as my yacht, where I had a laugh and a cry, where I met nice people, where friends helped painting and the ship I have done the most welding jobs by myself. I spent two years converting her, making her looking shining again. Thanks to all my friends in the support of saving the Hornblower in 2011. I will not save her again. PS: For all the people who follow my website: Don’t send me pictures from her at the scrapyard! 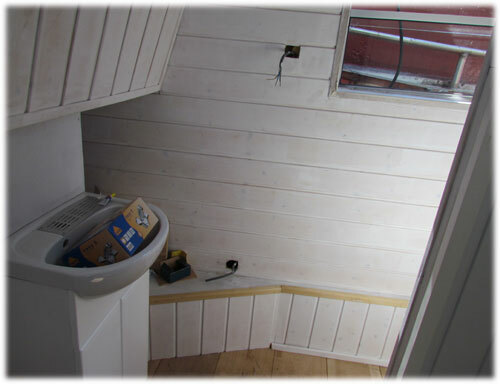 20th April 2013 – Putting primer on the wood in the wheelhouse and the bathroom took me a whole day. I’m happy with the result. 18th April 2013 – Since I have a table in the wheelhouse, we decided to eat on the Hornblower. A close friend came and we had a good meal! She liked it, I was looking at all the work that still needs doing. After two years of heavy work, I realize I still need to do a lot of things. Instead of talking of years, it is now a mater of months. When I bought the Hornblower, I always said it will take me three years and I’m not far off! 17th April 2013 – Probably the last day of nice weather. I oiled the little mast and the doors of the ship. Most of the outside is now protected. I can start to concentrate on the inside again. It is surprising that after one winter the wood was looking so neglected. I oiled it with two coats last September…. 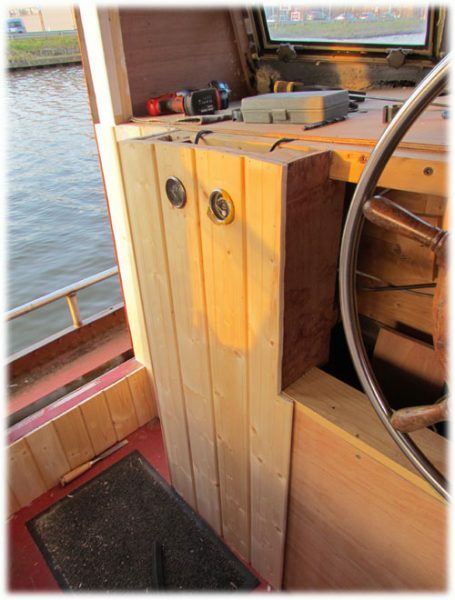 16th April 2013 – It is becoming hard to move around in the Hornblower. I removed some of my tools and filled up the wheelhouse of the Watergeus. I can now walk around and paint the remaining ceiling and sides. 15th April 2013 – Some more metal on the outside had to be painted. I’ve painted the railing and the remaining items after cleaning them. The whole ship starts to look good. It is nice to have nice weather. It is was late, but still a clear sky. I’ve started putting the inside of the wheelhouse in primer. 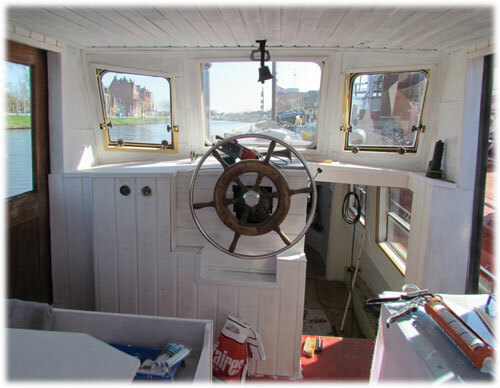 14th April 2013 – Most of the wheelhouse is finished. I did some details on the woodwork. Those details took most of the day. 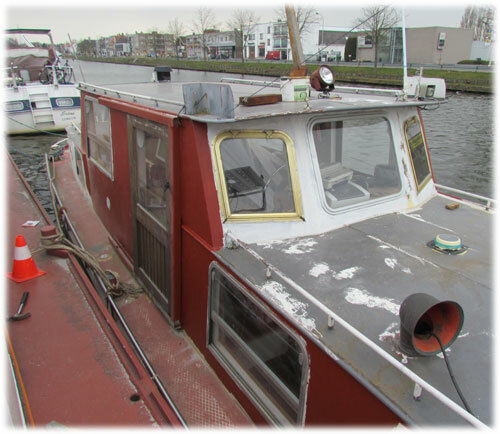 31st March 2013 – In the morning I finished removing most of the rust and flaky paint. I started painting a coat of primer in the afternoon, but had to stop. Little snow was falling, so I gave up! 30th March 2013 – The outside of the accommodation wasn’t painted for two years. 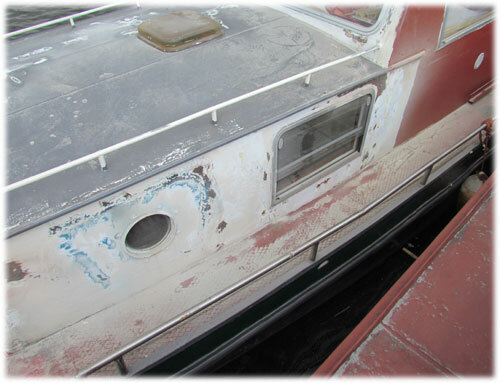 I have been welding and cutting, mounting new windows, etc… Most of the paintwork was in a bad condition. Time to remove it and give it a good coat of new paint. By the end of the evening, most of the paint was gone. To do something else to finish the day, I made a box around the pump and boiler, and I mounted two gauges for the engine. 11th March 2013 – Time to start working again. It is snowing and cold. First of all I drained all the water from the pipes in the bathroom. They are not leaking and I like to keep it that way! 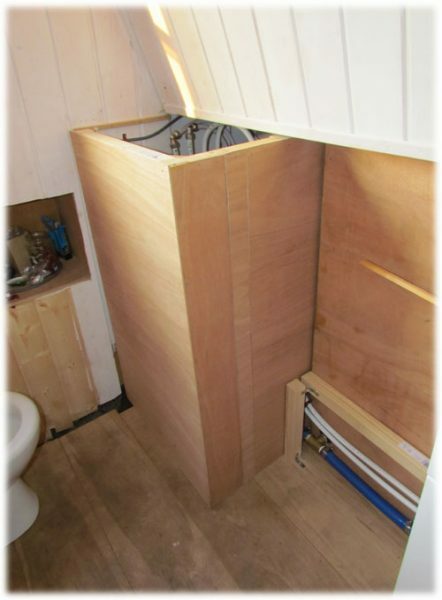 2nd March 2013 – The first steps of plumbing have been done. This involves in buying a lot of fittings! Once I’ve got them, they were mounted. At the end of the evening, it was a bit disappointing there were so many leaks. Only a few were solved. To be continued. 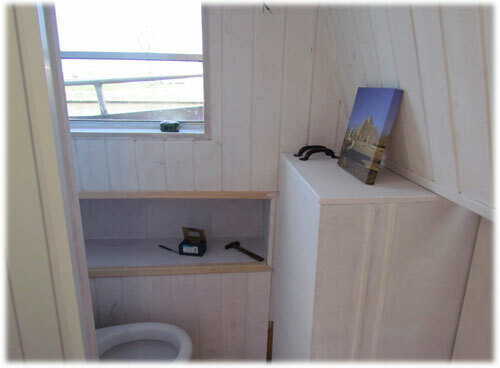 1st March 2013 – I taught the bedroom was a difficult area, but the bathroom is even worse. So many corners, shapes, profiles and angles. It consumes a lot of wood and time to get it right. 22nd February 2013 – While my mother vanished the wooden details and frames of the windows in the bedroom, I worked in the bathroom. Once the shower cabin is finished, I can start painting the whole bathroom and put the floor down.